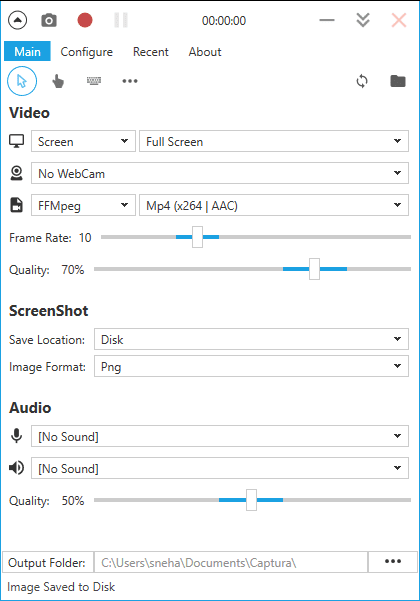 Captura is a third party desktop recording tool but way more different and ahead of the others in the category. It is a .Net utility holding the fame of capturing the entire screen together with the voice from the mic if it is emitting. There are many tools in the market that provide such option but there are few reasons that show why Captura leads the market. First and foremost the utility comes with many other functionalities along the basic one of capturing the screen. Secondly, this tool comes devoid of any ads or any sort unwelcome offer.